Butler Community College’s Life Enrichment will host Marc Mayer at 9 a.m. and Anne Hawkins at 10 a.m. on Dec. 4. Mayer, from the Museum of World Treasures, will present “Historic Hygiene.” Hug your fancy shampoo and antibacterial soap close because Life Enrichment is taking you on a journey far from the sudsy comfort of your bathtub. Learn about Roman bath houses, Chinese toilet paper, Egyptian dental hygiene and more. Hawkins, who teaches history at Washburn University, will share true accounts of the little-known people who worked illegally on the Underground Railroad in Kansas, the secret network that helped guide enslaved people to freedom. In the mid-1800s, some Kansans defied federal, state and territorial laws in pursuit of a common goal: liberty for all. Hawkins’ presentation is made possible by Humanities Kansas. "Operatives--both white and black--worked together secretly on the Kansas Underground Railroad. But what we often overlook in the excitement of these tales is that these Underground Railroad workers were lawbreakers. Slave owners and bounty hunters in the U.S. had the might of the law on their side," Hawkins said. "Kansans literally lay their lives on the line to help freedom seekers. And the ways they worked together for the common good offer examples of what is possible for equality and justice in our own time." Life Enrichment meets on the first Tuesday morning of the month during the school year. Area adults enjoy high-quality speakers and performers, along with a light breakfast and coffee at each regular meeting. 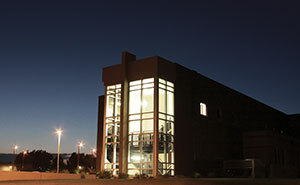 Meetings take place in the Clifford/Stone Community Room at the Hubbard Welcome Center on the El Dorado campus. Meetings are open to everyone and there is no charge to attend. Those who attend regularly are encouraged to register so they receive monthly newsletters announcing the programs. New members are always welcome. For more information about Life Enrichment or the Dec. 4 program, please contact Trisha Walls at 316-218-6355 or twalls@butlercc.edu.